A universal lanyard for all eGo batteries. Never comb through you pockets again to find the e-cigarette! 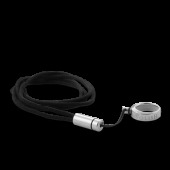 Volish lanyard with special holder will always keep your e-cigarette close at hand. Fits to Volish, Mild and Provog batteries.